For the second phase of the election of the Lok Sabha in India, polling will be held tomorrow-April 18. In the second phase, 97 Lok Sabha seats will be held on 13 states. In the elections of the Indian Lok Sabha, 90 million voters will use the right vote. Elections for 543 seats in Lok Sabha will be completed in 7 phases. The final results of the election will be announced on May 23 by the Election Commission of India. 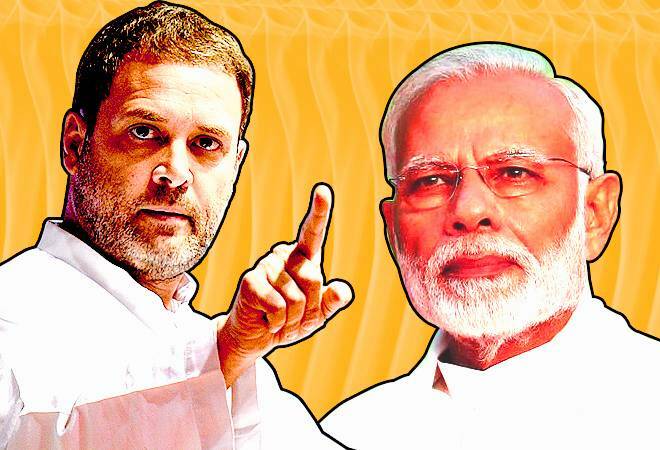 BJP’s examination of BJP, Congress, Samajwadi Party, Janata Dal and other small parties have begun in the National Assembly elections in the Indian Lok Sabha. In the first phase of the world’s largest democracy elections, in the 20 States and 91 constituencies of the Center, the people voted for the polls to be held last day. The number of people settled in the Indian state of Uttar Pradesh is more than the total population of Pakistan. According to the number of people here, many countries in the world are behind Uttar Pradesh. The most populous state is 80 seats in the Lok Sabha of Uttar Pradesh. In comparison, West Bengal and Bihar have 40, 40 seats. Elections in the states of Uttar Pradesh, Bihar and West Bengal will be completed in 7-phase. In the first phase, 8 constituencies in Uttar Pradesh, four in Bihar and 2 in West Bengal were cast. However, in the occupied Kashmir, 6 polling stations of Lok Sabha were also polished, but most polling stations appeared to be deserted. A million polling booths have been set up across the country to vote for 6 weeks of election constituencies. A million people have been deployed for the security of the election by the Indian government. In the Indian elections, 90 million people are eligible to vote, which is more than the United States and the EU’s population. According to Indian media, the US elections will cost $ 6.5 billion in Indian elections. Contrary to general elections in India of 2014, Modi’s government faces severe difficulties. BJP had recently suffered defeat in its strong areas Rajasthan and Chhattisgarh. On the other hand, the Congress is taking part in the political field in order to compare the previous elections. It is to see that in the 2014 election, the Congress, which will take 44 seats, will get the BJP taking 282 seats. Remember, the Indian Chief Election Commissioner Sunil Arora announced the general election date of 7-phase elections in the second week of March. Polling will be held on April 23 for the third phase of elections in India. The fourth phase of Indian elections will be on 29th April and 5th of May. Sixth phase May 12 and the seventh phase will be held on May 19. In the election, 90 million voters will use the right vote, out of which 840 million voters will vote for the first time. Who will win and lose what will happen? Its decision will be heard on May 23.